The market for handguns is driven by a growing interest in self-defense and concerns about tighter gun restrictions. Smith & Wesson (SWHC)'s handgun sales jumped by nearly a third at the end of last year, and Colt Manufacturing sold twelve times as many handguns early this year as it did in 2013. "[New buyers] are people who have never touched a gun before and want to get into shooting," said Ben Shim, a gun industry analyst for CRT Capital and a NRA instructor. Americans get more concerned about both personal safety and the right to bear arms every time there is a mass shooting, like the Sandy Hook tragedy in 2012, and such massacres have been happening frequently. Last week, a man killed seven people in California, including himself, using two handguns -- a Glock and a Sig Sauer -- and a knife. While some people view these events as a reason to restrict guns, others view such events as an incentive to buy guns. Sales of compact pistols are growing at double the rate of handguns overall, according to CRT. That's why Colt recently unveiled a new compact handgun, the .380-caliber Mustang. Colt hopes it will compete with the lightweight Glock, one of the most popular pistols in the world. Small-frame pistols are also preferred by women, a fast-growing demographic in the shooting community. "This is a hot category," said Shim. As an example, her cites Smith & Wesson's Bodyguard .380 pistol, which weighs less than 12 ounces and has a barrel shorter than three inches. "These are pistols that you can literally put in your pocket and they won't bulge out or make your pants drop. If someone jumps you, you can shoot through your coat pocket." The market shift toward handguns has been so pronounced that Colt is repurposing some of its manufacturing equipment and personnel that were dedicated to making semiautomatic rifles to make handguns instead. Another indication that handgun sales are on the rise is the jump in the number of concealed carry permits, which apply only to handguns. These permits jumped 30%, to 9 million, between 2010 and 2012, according to the most recent figures from the National Shooting Sports Foundation. They've likely increased since then, says NSSF spokesman Lawrence Keane, since Illinois passed a new law allowing permits for gun owners to carry concealed firearms. 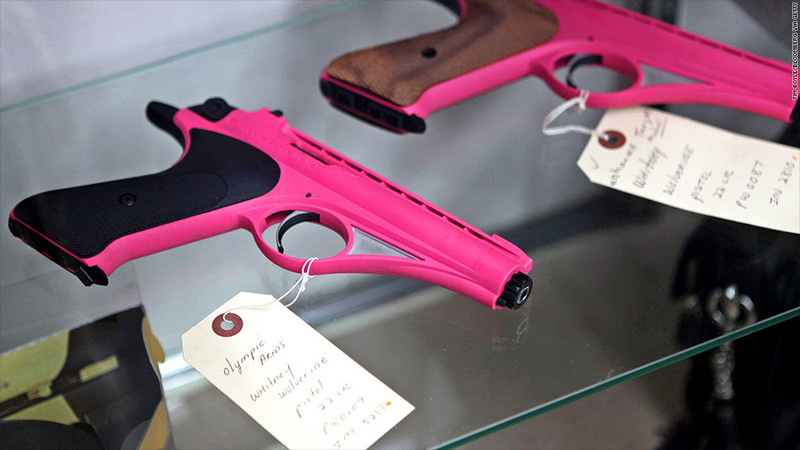 "There's no question that handgun sales have been steadily increasing," said Keane. "[People] are largely purchasing handguns for self-protection."